Should You Tell Your Criminal Defense Lawyer The Truth? Home » Should You Tell Your Criminal Defense Lawyer The Truth? 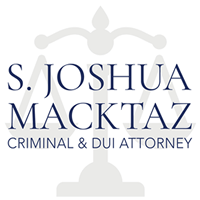 When faced with criminal charges, you need a criminal defense lawyer on your side. But when a situation like this occurs, do you tell your defense lawyer everything? Should you divulge in every single detail? Or do you keep certain facts to yourself? Should you always tell your criminal defense lawyer the truth? It’s an internal conflict that most people charged with a crime will experience. Unfortunately, there’s not one clear-cut answer to these onerous questions that will inevitably strike when facing a criminal case. A lot will depend on the situation, if you’re guilty, who your lawyer is, and if he or she wants to know the truth. However, there are some advantages and disadvantages to both sides to help you weigh your situation. Below we examine the pros and cons of telling your lawyer the truth, the whole truth, and nothing but the truth. There are some key points to consider when debating whether to tell your defense lawyer the truth. First and foremost, by giving your defense lawyer all of the facts and details, you’re helping them formulate the best possible defense strategy. Remember that your attorney knows the law in a completely different way than you do. He or she will be able to build your case and pave the right avenue for a plea if all of the facts are on the table. There may be mitigating circumstances that would allow the case to be dismissed, but your defense attorney won’t be able to create this solution if they don’t know the truth. In addition, when contemplating on if you should tell your criminal defense lawyer the truth, you should remember the attorney-client privilege. Your attorney can not disclose anything that you have told them in private unless you have given them permission to do so, or if they believe that you’re likely to commit another crime. It’s important to keep in mind that your lawyer will want to win the case. They’re not there to judge you, they’re just there to help you get the best possible outcome. Overall, your lawyer can create more options for you, design the best defense, and protect your best interests if they know everything. There are criminal defense lawyers out there that would prefer not to hear the truth. There are some solid reasons behind this thought process, and most of it has to do with ethics. If they know the truth, they may be put into a position to recuse themselves because they can not provide evidence that they know to be false. There are both legal and ethical implications for these actions. In addition, your lawyer can not call you to the stand to testify if he or she knows that you will lie. Committing perjury on top of criminal charges is no way to win a case. These are some essential issues to consider if you’re trying to decide if you should tell your criminal defense lawyer the truth. Basically, it’s important to fully reflect on the crime you’ve been charged with, understand your role in the crime, and ask your criminal defense attorney what details he or she would like to be privy to before the case. 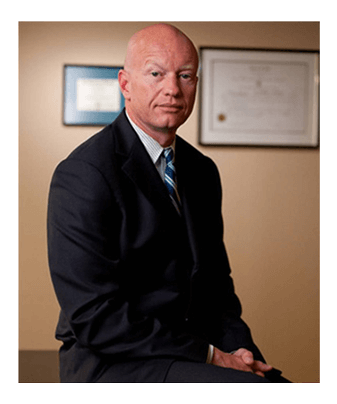 Still Unsure if You Should Tell Your Criminal Defense Attorney the Truth? hold police or prosecution accountable for potentially violating your rights. defend you on lesser crimes that the prosecution has charged you with. help you to negotiate if the prosecution has offered an unfair plea deal. help you to get a more preferable sentence from the judge. When speaking to your criminal defense attorney for the first time, ask them what details they prefer to know or not know when it comes to your situation. While most attorneys will want to know all of the details, some may feel they can be of better service if they don’t have the entire story. All of this will depend on your criminal case and who your criminal defense attorney is. It’s always recommended to not waste any time if charged with a crime. If you or someone you know has recently been charged with a crime but does not have an attorney, you must contact one immediately. Your best chance at fairness in the justice system will depend on this relationship. 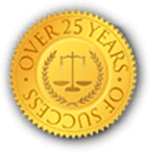 Don’t hesitate to call a reliable Rhode Island criminal defense attorney today to discuss your options.